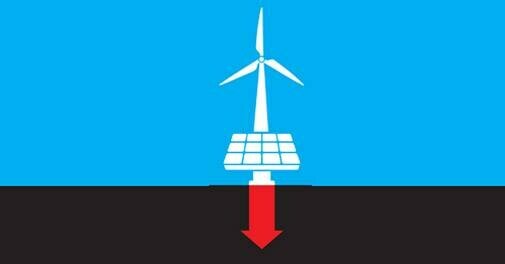 Lower solar and wind power tariffs should have boosted their use but have led to a crisis in the segment. The steep fall in the tariffs of both wind and solar energy this year should have been cause for rejoicing. In fact the drops have had unexpectedly adverse consequences. In February this year, the Solar Energy Corporation of India (SECI), an arm of the Ministry of New and Renewable Energy (MNRE) held the country's first ever wind auction for 1,000 MW of projects. The auction saw winning bids of Rs3.46 per unit. Until then, wind tariffs were fixed by the respective power regulators of the eight main wind energy producing states and had varied between Rs4 and Rs6. Following the auction, the discoms of the windy states all felt that the price set by their power regulators had been too generous. Most have decided they will no longer buy power at the earlier rates. Gujarat has refused to sign pending PPAs of nearly 250 MW. Andhra Pradesh's discoms have sought their power regulators permission to immediately stop buying power at the higher tariff. In Karnataka, the power regulator had set a feed-in tariff of Rs4.50 per unit until October 2018, but has now revised it to Rs3.61 per unit. In end-August, the Tamil Nadu Generation and Distribution Co (TANGEDCO) held its own auction for 500 MW, which saw the winning bid fall further to Rs3.42 per unit. This has put a large number of wind projects, either partly completed, or completed but not yet commissioned, in jeopardy. They had all formulated their business plans assuming they would be paid the rates set by the state power regulators and now fear that entire projects might become unviable if they are forced to supply power at the newly discovered tariffs. The developers have appealed to MNRE and Power Minister Piyush Goyal, who responded that in principle he felt states should abide by their commitments. In the solar segment, auctions have been held regularly in India for a number of years, with tariffs steadily falling. Solar tariffs have dropped 73 per cent since 2010, and particularly in the last two years, with the lowest achieved being Rs2.44 per unit at a SECI auction in May. But bidders were able to offer such bargain prices mainly because the cost of solar modules, most of which are imported from China, had also been falling steeply. Indeed, they had lately begun factoring in an annualised drop of 15-20 per cent in module prices, while quoting tariffs. But suddenly Chinese module prices have stopped falling. For the last three months, instead of coming down to $0.28 per watt as developers expected, they have remained constant at $0.34. The primary reason for the fall in modules prices was overproduction, but Chinas domestic solar programme has been expanding to absorb it. China has added 35 GW of solar capacity so far this year instead of the 33 GW expected, of which 24 GW was added in just June and July. 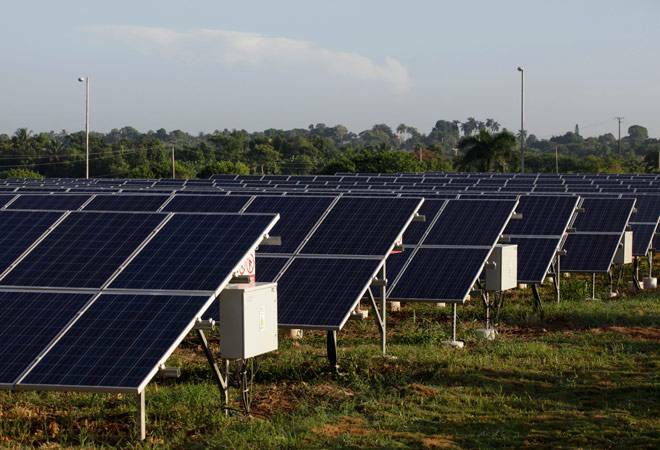 At the same time, Indias Directorate General of Anti Dumping (DGAD) in the Ministry of Commerce, has begun investigating a formal complaint from domestic solar manufacturers that Chinese firms were dumping solar equipment on India. If the complaint is found valid and an anti dumping duty imposed, it will further raise module prices and throw the calculations on which developers based their low bids, completely out of gear.